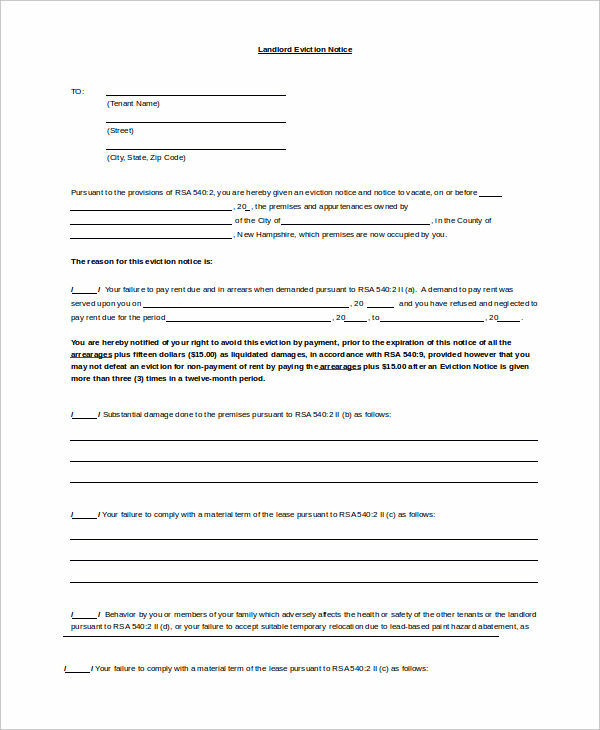 Notices serve as reminders or warning to people who violate the terms and conditions in an agreement with another party. Sample Notices are common in the workplace especially when an employee commits a violation of the terms stated in the work contract he/she signed upon his/her entry to the company. A notice can also be a good method of informing someone what they have done (in case they claim to have no idea what they did). 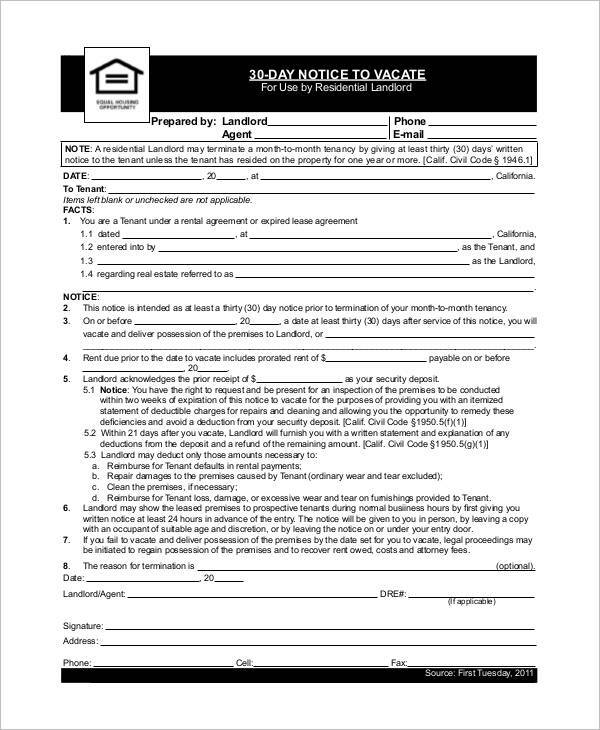 For example, in a situation where a tenant violates certain conditions in the lease agreement, the landlord is allowed to issue a notice of any kind or worse, an eviction notice asking the tenant notice to leave the premises along with other conditions set by the landlord. 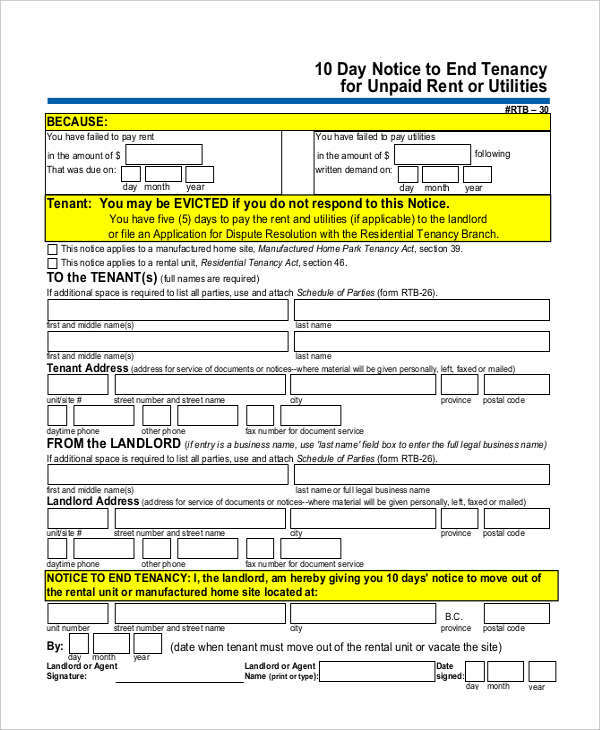 In most cases where a tenant commits a violation, a landlord issues a warning notice before issuing an eviction notice. However, if a tenant commits a serious violation or offense toward the landlord or the property in any way, the landlord may immediately issue an eviction notice. 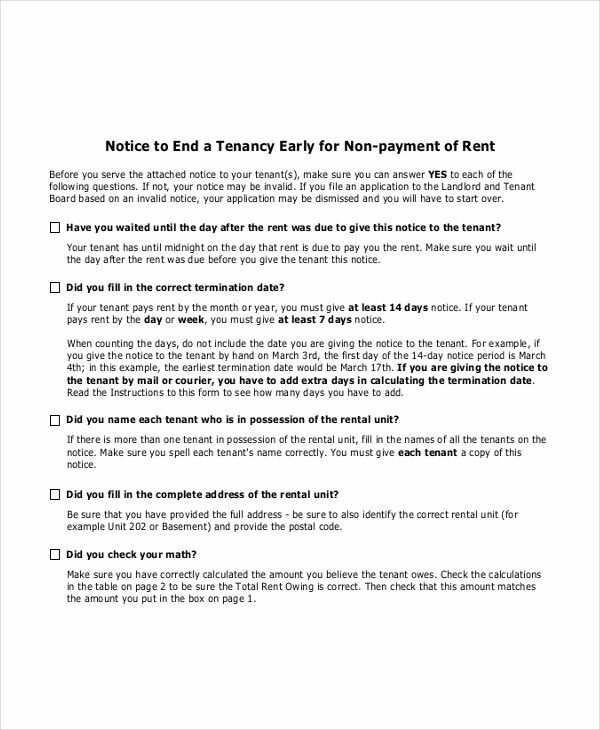 Eviction notices, thus, serve as a notification that informs a tenant that he/she has to move out of the rental unit for a specific reason on the date specified by the landlord. 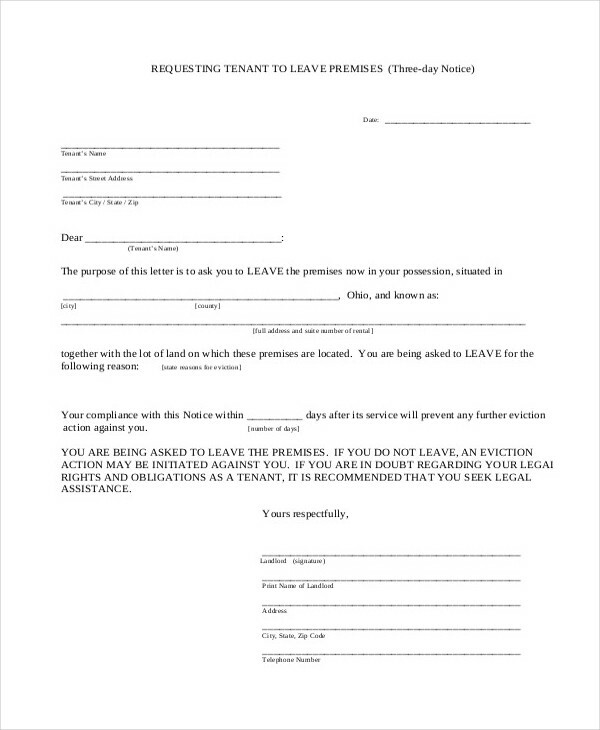 Is a Tenant Notice Reversible? In most cases, it is. This, however, will depend on the gravity of the offense. Still, eviction notices need to comply with the laws of the locality and the state for it to be valid. 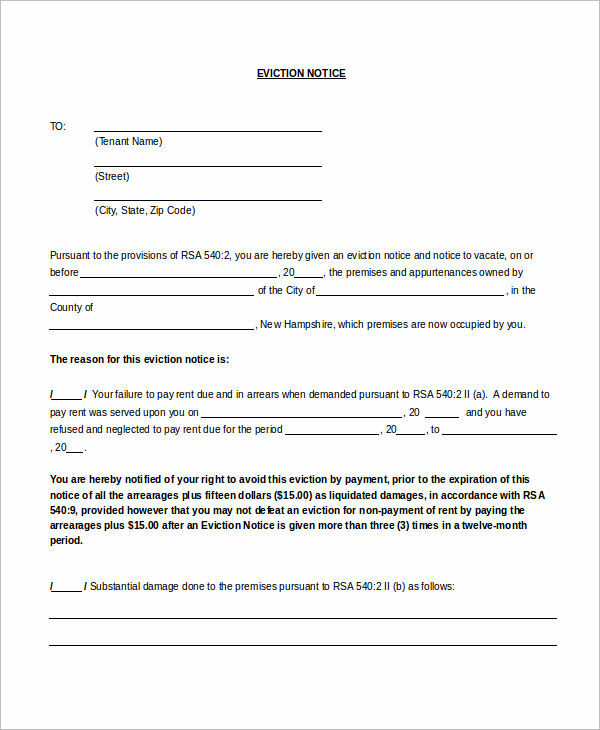 Also, an eviction notice can be reversed if a landlord states a course of action on how to cancel the notice (assuming the tenant takes action notice). Still, it will always be up to the landlord whether or not to cancel or reverse the eviction notice or not. Either way, the notice is issued few days before it takes effect, and the tenant might still be able to talk it out with the landlord, or make ramifications to cancel the eviction. 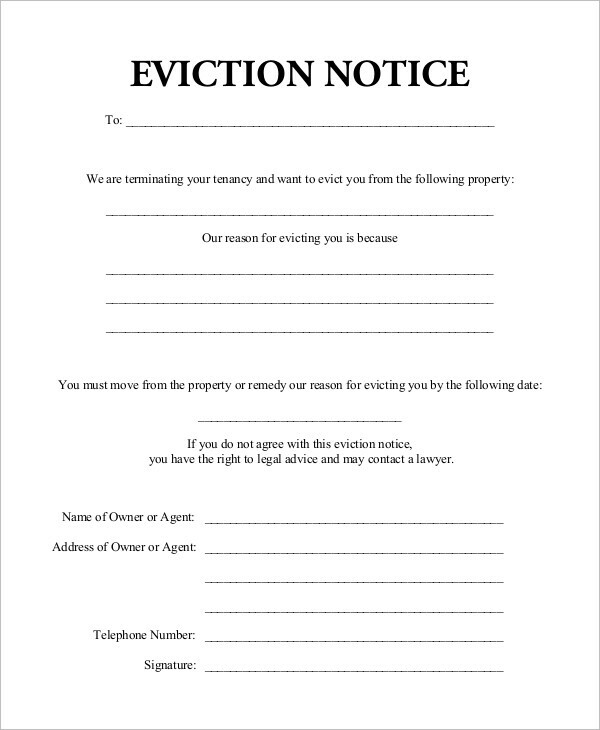 In writing an eviction notice, you need to be firm on everything you say. Of course, you also need to be sure on what to write. Goals, first of all. Well, we all know why you’re writing the notice. 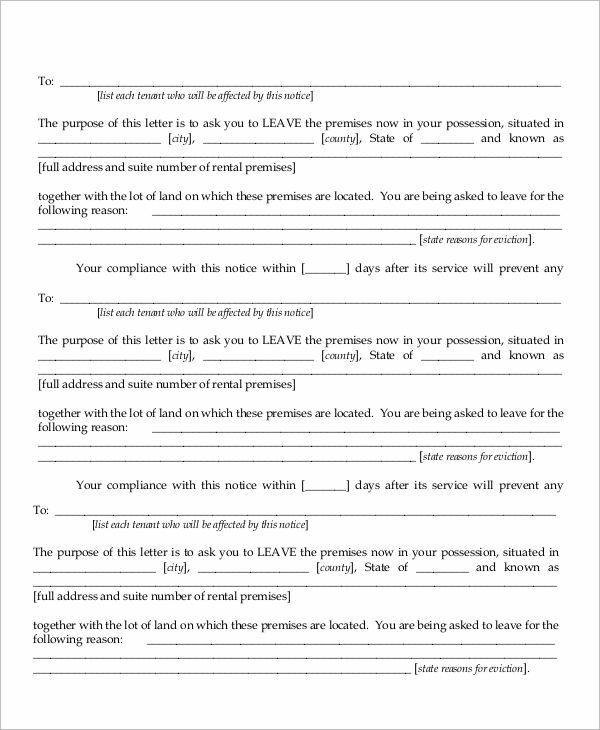 Go over the lease agreement, and list down the terms and conditions the tenant violated. Include these in your notice. 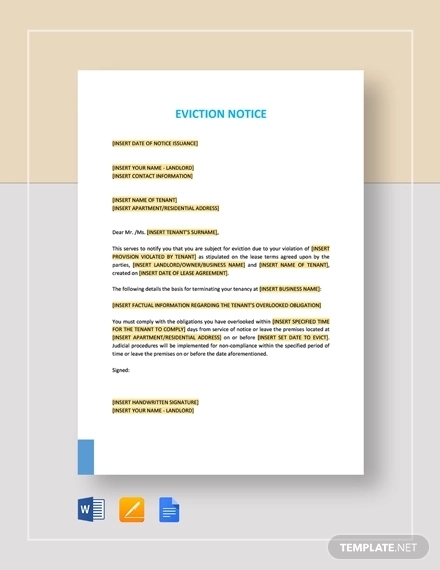 Write the main reason for eviction and support these with a list of other violations. Be specific. Write the date the notice will take effect. It is important for your tenant to know when he/she will be moving out in order to make the necessary preparations. 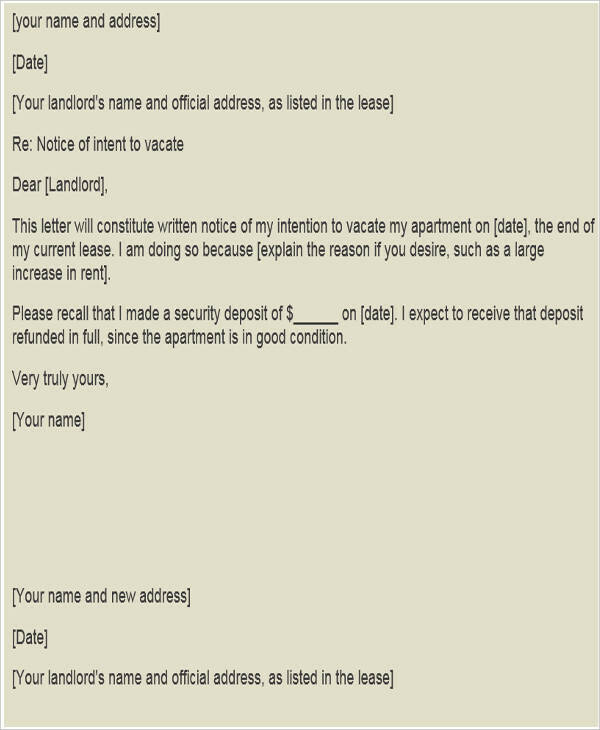 Write the ramifications a tenant can make to cancel the short notice. Still, the final decision will be up to you. 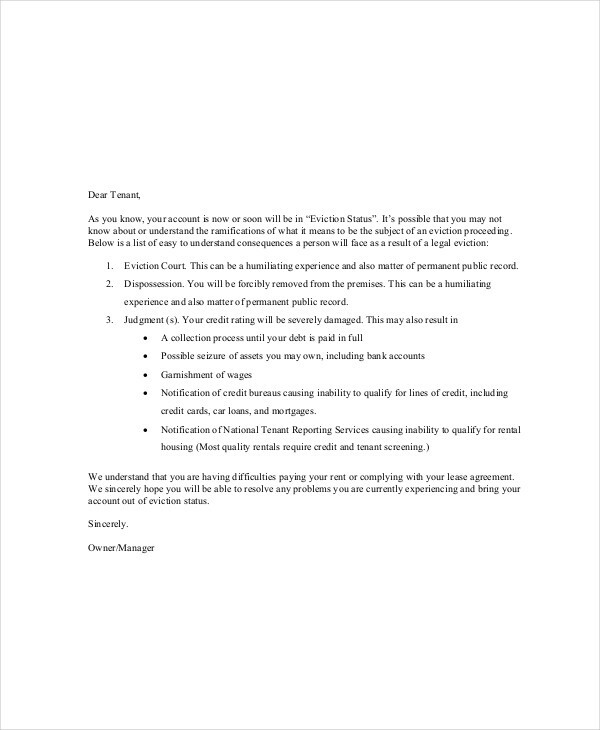 Your notice letter need to sound and look formal. Properly establish your authority, but do not sound offensive. Make a copyright notice. For record keeping, have another copy of your notice. And as I always say, review your work before printing it. Check for any mistakes, especially the dates, numbers, and spelling of names.